Naltrexone is a medication that blocks opiate receptors in the brain. It is most commonly used at a high dose (50 mg) to treat heroine addiction. 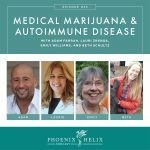 In the 1980's and 90's, researchers discovered that using it at a very low dose (1-4.5 mg) helped people with autoimmune disease without the high cost or side effects of conventional autoimmune medication. 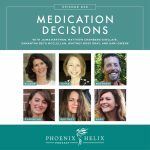 Today, we're going to learn more about this nontraditional autoimmune medication – how it works and how to find a doctor who prescribes it. 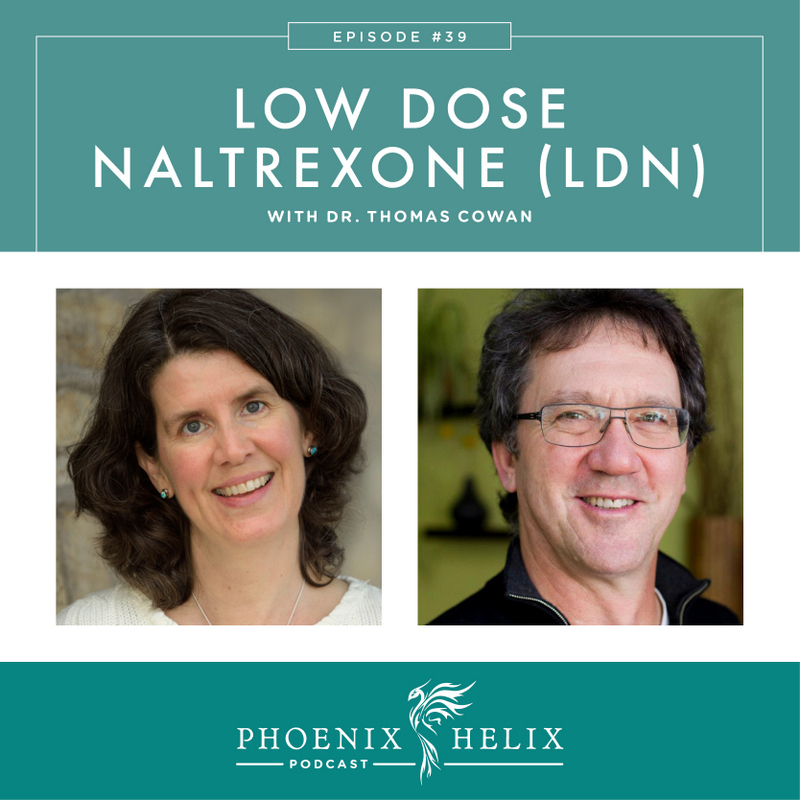 Our guest is Dr. Thomas Cowan, a medical doctor in San Francisco who has used Low Dose Naltrexone (LDN) for many years as part of his autoimmune patient treatment plan. They also selly my favorite sugar-free paleo bacon. If you order a 12-pack or more, you get free shipping. Dr. Cowan is a medical doctor in San Francisco who uses LDN with his patients with autoimmune disease. He is also the author of 2 books: The Fourfold Path to Healing and The Nourishing Traditions Book of Baby and Childcare. He went to medical school at Michigan State University but always knew he wanted to practice medicine in a non-conventional way. He started practicing Anthroposophical Medicine in the 80's and 90's. Now, he doesn't define his practice under any specific philosophy other than working with the body's natural wisdom in helping his patients heal. Autoimmune disease is a condition where you have a high level of antibodies that target your own tissue and mount an inflammatory immune reaction against that tissue. The immune system has two levels: (1) Cell mediated reactions that are a response to an antigen (like a virus) and usually last about 2 weeks as the body tries to eliminate that virus. (2) Humoral immune response – Antibodies which are the body's memory for that specific virus that prevents it from being infected again. Vaccines are designed to bypass and prevent cell mediated reactions by mimicking an infection, causing an antibody response without ever actually having that infection. Dr. Cowan believes the vaccine program is one of the reasons autoimmune diseases are now so common. The other major cause of autoimmune disease is leaky gut, causing food antigens to leak into our bloodstream causing more antibody reactions. Dr. Cowan's autoimmune treatment plan focuses on eliminating vaccines, addressing diet, healing leaky gut, and prescribing LDN and supplements. Food antigens like gluten and casein, when absorbed into our bloodstream through leaky gut, become toxic opiates that interfere with our immune response. Low Dose Naltrexone replaces these toxic opiates with healthy ones instead, helping the immune system rebalance. It does this by temporarily blocking opiate receptors in the body for a few hours while you're sleeping. During that time, the body tries to overcome the block by releasing extra opiates called endorphins. Endorphins run the immune system – our immune cells, and the cells of our gut and brain, have a high number of endorphin receptors. People with autoimmune disease often have a combination of low endorphins and high toxic opiates. Results with LDN vary – everything from having no effect at all, to mild improvements, to achieving autoimmune disease remission. Dr. Cowan has seen this range in his practice as well. It's worth trying because if it does work, it's an inexpensive medication ($20-60/month) with minimal side effects. LDN has been mentioned on two prior podcasts as being very effective for two of my guests: Emily who has rheumatoid arthritis talked about her LDN success on Episode 33 , and Chelsey who has Crohn's disease talked about her success on Episode 35. You can also see other video testimonials online through the LDN Research Trust. One reason LDN may not work is if someone hasn't changed their diet and continues to eat foods likely to turn into toxic opiates in their body (like gluten in wheat and casein in dairy). In other cases, some people's bodies might not be able to produce the extra endorphins needed. The original recommended dose was 4.5 mg before bed. Now, they know that dosage needs vary between individuals from 1-4.5 mg.
Dr. Cowan starts his patients with 1 or 1.5 mg for 2 weeks and then asks them to report back. If there is benefit at that level, he doesn't raise it further. If there's no benefit, he will double the dose to 2-3 mg. They report back in 2 weeks again. If it's beneficial at that level, he'll leave it there. If there's no effect, he'll raise it to the maximum 4.5 mg. Note: When there's a negative effect at any level, he doesn't have his patients continue for two weeks, but rather call him so he can lower the dose by .5 mg immediately. With LDN, more is not more effective. It's about finding the lowest beneficial dose, and effectiveness disappears at higher levels. Another option with people who have side effects at the lowest dose is to take it every other day. Those people who benefit from LDN will usually receive benefit as long as they continue to take it. It's not a temporary medication, although you can take breaks from it to test if you still need it. It can sometimes take 2-3 months before noticing a benefit, although it's also possible to feel a dramatic effect the very next day. Insomnia and bad dreams – although this is usually caused by going on too high a dose too quickly. This is an off-label use of Naltrexone medication, which means there are no tablets available at this low a dose. Instead, you need to have the medicine made through a compounding pharmacy. LDN needs to be combined with fillers. You want to make sure the fillers are fast-releasing and allergen-free. List of compounding pharmacies experienced with making LDN. 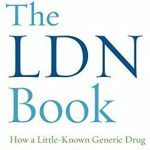 If you tried LDN and it didn't work for you, you can try again from a different pharmacy. Sometimes that makes a difference. You can ask your current doctor for a prescription, but many conventional doctors don't believe in LDN and won't prescribe it. If that's the case for you, here is a list of LDN-Prescribing doctors. However, Dr. Cowan recommends you find a physician who uses LDN as part of his autoimmune treatment plan and guides you in other ways as well, because LDN (independent of addressing diet, lifestyle and other factors) isn't as effective. 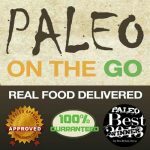 I have a list of Paleo Functional Practitioner Directories. Dr. Cowan himself is also accepting new patients. The LDN Book has just been published, which summarizes all of the research. The LDN Research Trust is funding clinical trials. Clinicaltrials.gov lists both completed trials and ones that are recruiting participants. Pubmed contains published research results. New research: With non-autoimmune hypothryoidism, there is a developing theory of thyroid hormone resistance – where blood levels are normal yet hypothryoid symptoms are being exhibited. LDN can help with that resistance. There is also research into using LDN for anxiety and depression. All of this is summarized in The LDN Book. As an MD, Dr. Cowan uses a combination of alternative and conventional medicine as needed for his patients with autoimmune disease. While the goal is to avoid or eliminate immunosuppressant medication and the symptoms they are suppressing, that can take time. He has the greatest success with people who have never been on conventional autoimmune medications at all. For those who have had autoimmune disease for many years, it will often take 1-2 years to heal the root causes and slowly taper those medications. It's important to do that under the guidance of a doctor who specializes in reversing autoimmune disease. Trying to go off medication cold-turkey leads to autoimmune flares. Dr. Cowan's website is Fourfold Healing. If you subscribe to his newsletter, he's working on a book that outlines his autoimmune treatment plan including the use of LDN. He is accepting new patients. Your first appointment needs to happen in-person at his office in San Francisco. After that, follow-ups can be conducted over the phone. He also recently started selling a line of nutrient-dense, organic, dehydrated vegetable powders: Dr. Cowan's Garden. Use the code PHOENIX for 15% off your first order.